A rental property inspection is a good way to keep an eye on your property’s condition. It involves reviewing the property’s condition inside and out periodically. Regularly checking on your Cary, NC rental property can help you minimize income loss, reduce property damage, and stop crime. Your Cary rental property must meet all state and local regulations regarding emergency preparedness and maintenance. Additionally, under the implied warranty of habitability, you must ensure that your property is fit for human occupancy. Failing to address maintenance issues early can cause you an arm and a leg in the future. Besides, you may find yourself in hot water with local law enforcing authorities. With good living conditions, your tenants will certainly be happy. Happy tenants have a high likelihood of renewing their lease once the existing one expires. This will help you save on costs that you would have incurred listing the property. When your property is in this state, you’ll find that you are able to minimize the time it takes to fill your vacant property. This way, you are able to plan for maintenance tasks accordingly. By regularly keeping an eye on your property, tenants will see that you care about their quality of living. This may incentivize them to also care for the property. In Cary, common lease violations include unapproved alterations and unauthorized pets and guests. When it comes to inspections, there are North Carolinas rental laws that protect renter’s legal rights. As such, you would want to make sure that you are not violating any. If you feel that you are not well versed in laws regarding rental inspections, please consider hiring a qualified Cary attorney or property manager. In North Carolina, there is no statute that requires you to give your tenants notice before entering. However, a 24 hours’ notice is recommended. The time of entry must also be reasonable. For example, between 8: 00 a.m. and 5:00 p.m. on weekdays and 9: 00 a.m. and 3:00 p.m. on weekends. The frequency of the visits must also be reasonable. If they are too often, the tenant may claim that you are harassing them. Tenant harassment is a serious crime in North Carolina. · Do Not Engage in Confrontation with Your Cary Tenants. Always remain calm and professional. To protect the renter’s privacy, it is a good idea to leave identifiable personal items out of the picture. Such items include pets and people. Let your renters know why regular inspections are a necessary part of the job. Also, do not forget to explain to them how the inspections benefit them. This will help document the property’s condition. This way, there won’t be any confusion as regards property damages. The documentation will also be invaluable when the time comes for the tenant to leave. Check for items such as leaking toilets or faucets. Left unattended, repairs can become serious and costly. Due to the fear of being blamed, some renters may not contact you. That is why maintaining a good landlord-tenant relationship is important. Unauthorized tenants are a safety risk. These people are not qualified to occupy your property, yet have full access to it. If you do not know the proper course to take, consult with a qualified Cary attorney. Infestation represents a health hazard and can be expensive to eradicate. As a landlord, it’s your responsibility to ensure the premises are safe for tenants. However, if the infestation results from gross negligence on the part of the tenant, you have the option to evict them. It is also your legal responsibility to ensure the rental unit is free from fire and safety hazards. Carbon monoxide and smoke detectors should have fresh batteries and be in working order. Fire escapes should be clear of any obstructions, as should the exits in the property. Hoarding is also a fire hazard and creates an environment for infestation. Bright lights. To grow drugs like marijuana indoors, cultivators use bright lights to accelerate growth. Excessive traffic. If you observe excessive traffic frequenting your rental unit, then it is time to get suspicious. Strange smells. Suspicious, unusual smells can point to drug dealing, cultivation, or use on your rental property. Keep an eye on excessive or large holes in the walls. Also, check for other damages to walls resulting from the careless moving of the furniture or from doorknobs. 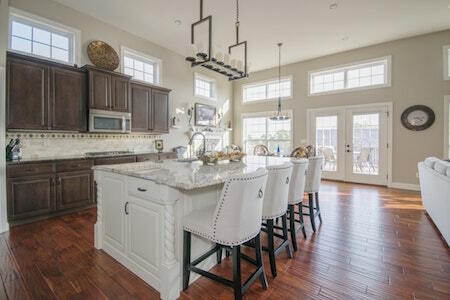 Scratches and other damages are common particularly if your property has hardwood floors. 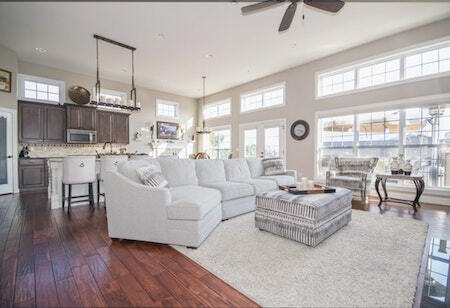 Routine inspections will help prevent excessive damage to these floors. If your unit is carpeted, regularly cleaning them can help make it last longer. Once you have been successful in your screening process, you should conduct this inspection immediately. Your tenant should return the property as close to its initial condition as possible. The move-out inspection helps you check for any excessive property damage. Each season calls for unique maintenance tasks at your Cary rental property. Simply driving by your property in between seasonal inspections can help you reveal lease violations. 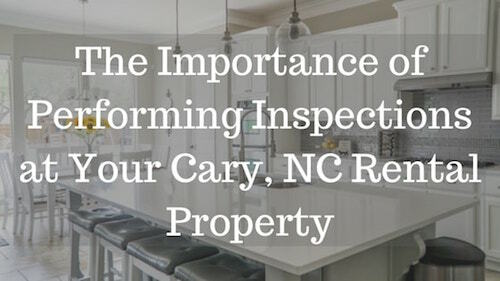 Regularly inspecting your Cary rental property may be your least favorite task. However, ignoring keeping an eye on your property’s condition is simply too risky. Hopefully, with this article, you’ll be able to keep your tenant happy, as well as ensure your property is in tiptop shape always.